Floral design for a functional resume that will stand out amongst the crowd. This CV template uses a 2-column layout and a green page border. The Skills part uses data-driven doughnut charts. Download the ‘Qanat – Floral Resume Template’ for free! 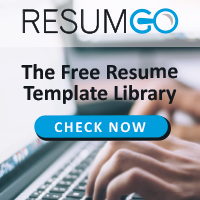 Hey there, we spent a significant amount of time optimizing the usability of this new resume template. Hope you like it. Please do not hesitate to leave any comment here (whether you like it – or not!). Thanks! I am so much thankful to you and the team. GOD bless you. I liked it very much.